As some of you WA fellows may know, I’m building a niche website publicly here at WA -- and documenting every step I take so you can learn everything. I bet that very same thought has gone through your mind at some point in time. Well... I'm here to help! A clear understanding of what you're building is essential. Time has passed, I learned a lot and now it's about time to share my knowledge with others. In this training, I’ll be explaining you what niche websites are and much more about niche marketing. From the reasons why you should and shouldn't build a niche site to why being specific is important, you’re going to get a lot from this training! 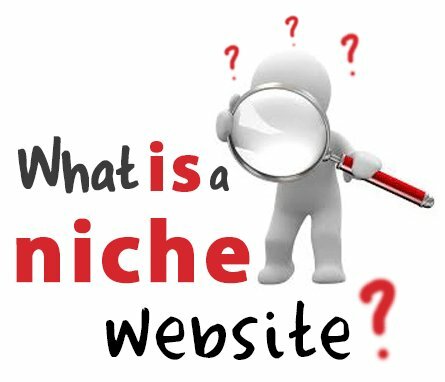 What is a niche website, really? I hope you enjoy my training here! Be sure to FOLLOW ME to be notified of new and helpful trainings I'll publish down the road! This gives me a reality check and realistic idea of what it takes. I appreciate it! I'll read your other posts now. Thanks, Louie. This article is very helpful. I had some of the same questions as others, and your in-depth explanations to the discussion questions answered those. I had wanted my niche to be men's clothing (broad), starting with neck ties then later moving on to accessories and such. For some reason I didn't think it would be a good niche, but after reading your article and your additional explanations, I'm thinking differently. Can it be done (with hard work, of course)? Hi Rick, thanks for your compliments! Yes, it can surely be done. :) Start small and then expand, that's the rule here. :) Good luck and if you need help, I'll be happy to offer it to you. Great training. Pictures really help to clarify. So, if you have a very narrow focus for the "river fishing for trout" book site, your website would be primarily a review site correct? But along with reviewing, you can also blog about fishing tips and all the good stuff that comes along with fishing, so that you can add value to your website, correct? I always get a little confused that once I niche down to a pretty specific niche, I will have very little to write about or how to continue to build out my site. I believe it can be both an authority and a review site - and I'm sure this can work for most niches, right? Thoughts and feedback would be very welcomed! Sorry for the delay -- I missed the notification about your comment. For the "river fishing for trout books" niche my website would try to review lots of different books about that subject, yes. There are tons of books to review, it would be hard to run out of stuff to write about. And I could also talk about the authors and other stuff related to those books first, just so my website would become a relevant resource to the "river fishing for trout books" niche. Only then would I expand it to other closely related topics like "river fishing for trout tips" in order to make it a good resource with helpful information. You're misunderstanding the concepts of "authority website" and "review website". An authority website can include review articles; it's just a bigger (and more important) website than a "regular" small niche website. Thanks Louie for sharing this. Now I have the better understanding of about Niche. Very helpful. Hi there I already knew a little bit on the subject but still I wanted to clarify things and this was personally a GREAT guide. Well written and well explained. I would recommend this to any newcomers. A. Either change my niche from skincare products to a baking blog so I can focus on that business better. I've been having some trouble figuring out how to promote moisturizers since I'd have to try so many for that site and spend quite a bit to make reviews. B. Keep the skincare site and work on it little by little, and make the baking niche a separate site that I focus on. I didn't get it, do you plan to sell cakes through your website? That's not so easy to accomplish as it might sound at first. Think about the logistics, distribution, orders, inventory, invoicing, legal and health requirements, validity dates and so on. As for you skincare site, yes, reviews do take a bit to make but that's how this business works. There are workarounds, though. First, you don't really need to try all the products to promote them (although that would be the best case scenario). You can read reviews from other people, watch YouTube videos explaining how they work and what results they can get to learn more and write your own reviews. You can also order someone else to write those reviews for you following your guidelines and sources you found. And I bet there are much more products related to skincare than just moisturizers. I was planning on selling the cakes locally, and then having a website that has all the ingredients and tools I used for the affiliate program. I was thinking it might be worth a shot so I could make some cash from both selling in my town and linking the products I used to amazon. That part ("having a website that has all the ingredients and tools I used linking them to Amazon") could actually work, yeah. Wow, great visual! I needed to see this. I work well with workflows. Thanks Louie! It's as though you smacked me upside my head, I've been having a problem finding a niche, I ship allot of product online, the one problem is breakage so creating a niche about the best products to use for shipping different items, it's something I'm very familiar with and could create great content about, couldn't that be a niche to start with? Yes, but only if you are specific and focus on one kind of item at a time. E.g. : "shipping olive oil" or "shipping wine". Awe perhaps antique glass? I was up until 5:30 am EST going through past sales of 4 years and the most I've sold we're just that & had some breakage along the way, of course it's not replaceable! I gotcha now, thanks so much you make things very clear for my complex mind. Sometimes I over think and not simplify like I should in cases like this. Does the website have to be niche, or can each post be niche? Or would it be better to have 2 websites, one focusing on each type of fish...? Generally, I would create a site with a larger market in mind. Then I would focus on one sub-niche at a time. E.g. : I would create a large authority site about river fishing where not only one post but a whole distinct section of inter-related content would focus on "river fishing for trout". When that section was covered in depth I would create a new one like "river fishing for perch". Thanks LouieLuc...sounds like a better plan than having a load of individual micro-niche sites to manage. PS - I know nothing about fishing - certainly won't be my niche! Being from the UK - eating fish 'n' chips....now there's an idea...! Great training videos. Breaks it down to give an understandable direction for choosing a niche. Thanks. Imagine person A is googling for "what is a golf club", what intent do you think that person has while doing that search? Now imagine person B is googling for "best golf clubs to buy", what intent do you think that person has while doing that search? Person A is just using Google to find an explanation or the meaning of the term "golf club". Person A is just curious about the topic, not really wanting to buy anything. On the other hand, Person B is using Google to find the best golf club options that are available for purchase because he/she already knows the meaning of "golf clubs", perfectly understands what they are and what they're used for and now wants to get one, but still needs to learn what the best options are. This person B is further down the Purchase Funnel already ready to buy, while Person A is just on the first level of the same funnel. Yes that does make sense and helps. Thanks for your explanation. Thank you, Diana. Glad it helped you out. Thank you for your comment and compliment, Barbara. Hi Louie, after reading your training I have decided to create a niche on back pain more specifically bedsand other products to take care of your back how would I name my website? Hi Raven (cute name, btw)! Always pick a domain / website name broader than your niche so that you can expand your theme into closely related niches in the future. I would pick something like "Healthy Back", "Painless Back" or something even more broader. You get the point. Hi Louie! Thanks for the valuable training. In your example about kitchens ovens as a specific topic that you choose, what would be a good site name if you plan to expand to kitchen appliances? Thank you Louie! That's a nice suggestion. Too broad a niche...no good. Too niched no good. I get it but when do you know the correct depth of a niche? Yes, you want Monthly Searches, with at least 50 and a QSR at 300 or less. You have to find something in between. If your niche is something that you can't seem to create at least 10-50 different articles about that same topic, then it will be too small. For example: "Omega Juicer XPTO 123" would be a too narrow topic, you could only write 1-3 articles about that particular product (the Omega Juicer XPTO 123). On the other hand, "Omega Juicers" would allow you to review all of the juicers the Omega brand produces. But if you'd broaden your niche to "Juicers" or even "Kitchen Appliances" you would have a whole new world of possibilites to create content about. Naturally, just like upsgirl stated, you would need to find keywords related to your niche that would make it worth it to target on each of your different posts. Thanks Upsgirl for the numbers....I was wondering what numbers (searches and qst) you would use to disqualify a niche at the other end of the scale i.e. when the niche is too big. If you keep to the guideline, 50 Monthly Searches and a 300 QSR, you are good. SO...more Monthly Searches WITH LESS QSR is even better. Thanks LouieLuc....great advice. I'll bear it in mind. very good. While reading this. I started to develop some interesting ideas on coming out with a niche website. I am interested in cleaning and some ideas are beginning to fly into my head. Very nice visual. Really helpful for explanation of what a niche is. Thanks. What a great visual of what a niche is ! Awesome ! Thanks Louie! Thank you for this valuable information. I now understand more about what a Niche is and how to build a website for it. Great stuff Louie!! Really dig the fact of being rewarded for helping people. Mind changing... Look forward to checking out buzz nitrous! Great training Louie, thank you! I joined WA yesterday, and am now ready to pick my niche. I would love to work with: Travels to Suriname, my native country. Your training has made it clear to me that this would be too broad, so I should narrow it down to: Traveling to Suriname for the first time, or Traveling to Suriname by Yourself, or Traveling to Suriname and binge on Mango, something like that? I understand that I should build a fan base starting with a narrowed down subject, and then later widen it. There is so much to tell and show about Suriname! Would you please let me know what you think of these niche ideas? l also welcome any input from the community: would you guys be interested in reading stuff about Suriname? I love your ideas. I love traveling and have never explored the option of traveling to Suriname. I would love to learn everything there is about your beautiful country. I will be following your progress closely. Hey Steven, that sounds good! Tourism is quite new to Suriname and I would love to contribute to this industry and to the image of this colorful country. Which of my niche ideas do you like best? Audrey, thank you so much for your kind compliments. I'm glad my training has helped you. The most important thing you need to understand about "niches" is that they are actually "audiences". So pick up that destination of yours (which I'd like to visit soon) and see it from the audience perspective. "I want to help ______ and _____ traveling to Suriname _____". "I want to help young couples on their honeymoon traveling to Suriname for the first time." "I want to help retired folks that love photography traveling to Suriname to visit the place A, B and C". And that's it, you have found your audience. Hi Audrey,I think first time travelers might be a good idea as many people have not been to Suriname. Another might be to focus on what your country is famous for, for example, India is famous for spirituality. Let us know which way you decide to go. This is great input, Steven, thank you! I have been out running chores almost all day, and let all the different options pass through my mind along the way. And this is exactly what I have decided to do! Talk to you again soon! Olá Louie, thanks very much for your input! I can fill in the blanks like this: I want to help travelers who visit Suriname independently, meaning not in an organized tour - I do not think these are available from the US and Canada anyway; or from most other countries, for that matter. At this time, only from the Netherlands and Germany. Now, will I find affiliate programs with airlines, hotels, etc? I guess so! Have been working on my site these days, Louie. And, went Premium today! I have my three first webpages in place, but the Hot Seat video made me just realize that I still have a long way to go. I guess the way to go is step by step. Am now in the process of deciding on a domain name. All the best to you! First of all: a very warm welcom to WA! Head to the Geo page to see maps that will show you where we are. i visited your website and its really great to discover new places. one suggestion is that you should spice the articles up with a lot of photos showing the different things that folks could do in suriname. i already see things pop up on your website about what kinds of activities could be completed there. essentially some ideas what people may want or some articles topics for your next write can be generated from these interactions. so far really nice starting point. Thanks very much for this, mrbons. Working on it! You're site is looking great, Audrey! Congratulations, awesome job! De nada, Audrey! :) Fico contente também. Tenha um bom fim-de-semana, Audrey. Tudo de bom! Obrigada, Luis. Até a proxima! This is excellent content Louie. Thank you very much for sharing. I wish I came across it before I decided on my niche and purchased my domain name. Thanks for the compliments J! :) Don't forget that although niches should be laser-focused, domain names should be broader so that you can more easily expand into closely related niches when your site reaches that point without it looking unrelated. Fantastic content on the subject of niches!! Your focus on first helping others and then reaping the rewards is and should the primary focus. This focus has been especially helpful to me at this point in time. And, your images of narrowing in on a particular niche was valuable as well. I like the fact that you included both verbal and visual content in your tutorial - we learn in different ways. Thanks Louie for a superb tutorial! Thank you so much for all this valuable information :) It has helped me clearly understand the meaning of "NICHE". Loved your discussion and your focus on helping people. You do not teach, "get rich quick" and I like that. Thanks so much. Thank you Louie but I didn't understand that what the target is. Building a website, having a good niche and etc. But I couldn't find the relationship between making money and having a good website. What do you do when you're surfing the web? Do you prefer bad, lousy, uninformative, poor quality, untrustworthy sites that leave your questions unanswered or good and legit websites with lots of great information that really help you? If I find the former I usually don't spend more than 30 seconds there; if I find the latter, chances are I'll spend much more time there and end up clicking their link to some affiliate product that can help me solve whatever issue I'm having. You totally answered my question here on why we need our niche so precise. Competition! I was doing mine about Pet Wellness but know I need to change it. Any ideas of how to make Pet Wellness more precise? Hi Corey! Thank you for your compliments. Yeap, you can narrow that down a bit more. Here are some ideas: specify what kind of pet you're focusing on (pet wellness for dogs, cats, snakes); or what wellness factor you want to target, for example or Pet Wellness for senior pets / dogs / specific dog breed. Fill in the blanks: "I want to help people with ____ and _____ because ____". P.S. : Tip about niches VS site names. You should narrow your niche but keep your site name broader so you can expand its main topic -- if you need to, later on -- so it doesn't sound weird addressing different subjects. Thank You LouieLuc! This stuff is all new to me and there's so much that I feel overwhelmed so I appreciate the help! I wouldn't even have thought of those. Smart man! Thank you! Is this your first niche website? If so, pick the option you like the most and that you feel more comfortable talking about. That way it won't seem like a chore and things (writing, researching, getting known and socializing in your niche) will become much easier. Besides, you can keep your already existing site (don't delete it -- Google likes aged sites) and get back to it at a later time. Hi Elize! Yes, it seems specific enough. :) I don't really know the subject (literacy educational programs), but if there are more than one program it's always better to start with just one. Thanks so much for the great tips. I have already chosen my niche and created my site but now I'm worried that its to broad. My niche is weight loss-how to stay motivated to lose weight and exercise. I'm writing a lot of articles with tips to stay motivated to workout, proper nutrition, exercise routines, how to get in a workout without going to the gym, best foods to eat and so on. Is this ok? I am targeting busy people who want to lose weight but lack the tools to stay motivated to stick to their weight loss regimen. Well Eva, it seems that you have your audience pretty well specified. A niche is precisely it, a specific audience. If "busy people who want to lose weight and are looking to stay motivated" is your audience, it's pretty specific, yes. Thanks for the tips, I was thinking about Educational programs for children now I realise that may be to broad how about literacy programs for primary student would that be better. Thanks LouieLuc for your very informative information about niche websites!! Wow! I am a total newbie to the online world, and so I will be asking for a lot of help. I am really happy that you have narrowed down what a niche is, I now have a better understanding of it. You've come to the right place because help is here in abundance. My mind is racing with so many possible niche ideas. There are things that I have focused on in my career and life that could be a niche! How to pick one, narrow niche? You will be writing a lot of Blogs. Choose something that will hold your interest. Be really specific. Well, start with one. It's great to have a ton of ideas, but try one at a time. Do go and do it all at the same time. Then, when the first niche site becomes an authority and working on autopilot, build a new one targeting a different niche. This is how I will do this. I'd put 'em all in a "hat" and draw one out and let that be the one I began with LOL. Folks like you and I will never lack niches because we like soooo many things! I like the advice you are giving, LouieLuc. There really should be value and credibility in each niche we build. This way, we earn the trust first, before we earn the money. Precisely, it's all about building a relationship with your readers (helping them) before recommending anything. I think I'm getting the picture. Although I've blog posted a lot on natural health and wellness, I've never tried to tie affiliate products/services to those posts and now I know why...my blogs were too broad to do so, anyways! So...I guess with some afterthought...I need to now focus on ONE specific health issue and how to solve/help it, naturally. Do I got it? Yup! You're on the right track! Be really specific! Thank you Louie. Since I was already thinking about fishing in AZ lakes. This is spot on insight to help me narrow my niche choice. Thank you Louie, great insight. If I blog about travel tips, is it too wide? Do I have to narrow down to... like "air travel tips"? Yes...the more specific, the better! I second what upsgirl says! You should narrow it down even more, "air travel tips" is still too broad. Something like "travel tips for seniors when visiting Portugal" is something more specific. Thanks, Louie. Very formative and straightforward. Easy to follow and understand. Very informative and great you kept it simple, thanks. For the moment though, I will stick to the many small niche opportunities that exist in the 'retired - aged - elderly - disabled - physically impaired e.g. rheumatism, arthritis - mobility aids - hearing aids - electric chairs - walk in baths.... the list is endless! Best of luck with your goals, I'm sure you are going to make it! Thank you very much for pointing me in this direction...what a GREAT resource! This was very helpful and certainly gave me the essential information I needed. Thanks again and may God bless your efforts! I teach people to trade commodities and have authored two books. When I started back in 1997 or so I was a big fish in a small pond. Now I'm a guppy in the ocean. There are literally 10's of thousands of sites that do the same thing now with many of them it seems like with a full-time staff of people that just work on their site. Some are just amazing!! My courses specialize in teaching new traders the basics of futures and options. A few years ago if you Googled "Commodity Courses" I was usually #1 to #3. The lady who was doing my website has moved on and I'm starting a new site from scratch. How in the world will I get ranking again??? Should I just target "new" traders? How would you do that? I'm on my own now and i'm lost. I just joined WA as a premium member a couple of weeks ago. A niche is simply an audience. A small and laser-focused sub-set of people in a larger market that share a common interest. You just need to find the right and unique perspective. Focus only on one audience to start with. One that can still be explored and has lower competition. That's how I would do it. Then, all I needed would be to target long-tail keywords (search terms with 4+ words) and become very specialized on my chosen niche. Target new traders David, but also talk about mistakes and success tips that have personally worked for you in trading. As Louie said, find the long tail keywords that are associated to your audience. I can imagine there's a ton of different options traders type in on Google. With enough content which you can easily write based on your experience, you should be able to crush most of your competition. Thanks. Will take that into consideration. Louie- this tutorial series really met my needs as I am in the process of trying to clearly identify my niche. My struggle was with how broad or narrow to be and the costs and benefits to each. Thank you for a clear and succinct information to consider...and for helping others of us to avert potential frustrations. I will certainly follow you. Fantastic training, thank you. Short, insightful and easy to follow. Thank you Louie... that has really opened my eyes as to what exactly a niche is/should be. Brilliant. Thanks my friend! All the best! your example of fishing for trout books inspired me...I have a better understanding as a result. Thank you. Thank you this tutorial is helpful. I like how specific you have made the areas here turning something that would appear complex into a simple formula to follow. I like the training and appreciate it. Personally, you've just answered my many questions about my main problems on how I'm approaching my site. It's clear to me now that I need to niche down a bit to grow my site by focusing the specific areas of my aspects one by one. Made time today to come on over and check in with you as I have seen some great feedback and supportive comments you have offered here in the WA community. Now I am off to finish a post for my, apparently, way too broad niche. it has afforded me the license to tap into many subjects related to the special needs community, but I have to say I'm struggling with getting it properly monetized. I'll get it, just have to keep working on it. In the meantime, just wanted you to know your training here has substantiated for me that my new niche idea will be right on track for creating an income to support my granddaughter and I.
Hi there Linda ("linda" means gorgeous, very beautiful in Portuguese)! If your niche is too broad you're still in time to narrow it down a bit. Just define who your audience is and talk to them (i.e., target them). Money will come in later, when you have a connection established. Follow this principle and it will all go well. You are so kind. What sweet encouragement. Glad to hear that can possibly drill down the niche by targeting my audience. A work in progress "-). This is a great tutorial, LouieLuc. I will probably refer back to it as I develop my sites. Target Group: Young professionals looking for the newest modern fitness tech. ---< The product categories would be almost endless but still very relevant to the niche "fan" group. Is that ok? Bryan, a niche is a very specific audience (a group of people). Only that has to be specific. If your specific niche has a lot products even better. You'll have more stuff to recommend to that audience. How much can a niche be built out and expanded into other areas. or are topics that have tenuous links be better off in separate sites. You may expand your niche only after it becomes important in its niche. Only then you may expand it to closely related topics. Topics that are far apart from your niche will be better targeted in their respective niche websites. Check my answer to shawnsalandy below, I gave a good example about expanding there. Great Stuff Louis! Your Lesson 7 got me thinking though.... how should you go about naming your niche website? Even though you're trying to be specific, should the name also be that specific? I think that if you choose a very specific site name (domain name) you won't be so comfortable in expanding it to closely related topics in the future (if / once it gets important). If your niche was "barbecue grill reviews" and your site name was http://BarbecueGrillReviews.com and it became an important (authority) site, it wouldn't make much sense (for the visitor) if you started speaking about bread machines or other kitchen appliance items. So it would be a better bet to name it "http://kitchenappliancereviews.com" and focus FIRST and foremost on your niche "barbecue grill reviews". ONLY IF it got big, you could then expand it and talk about other related topics. Very nice, clear, concise course. I received a good direction! This is awesome information, stuff i really needed to hear as my biggest problem is choosing the right niche thanks a lot. Louie. 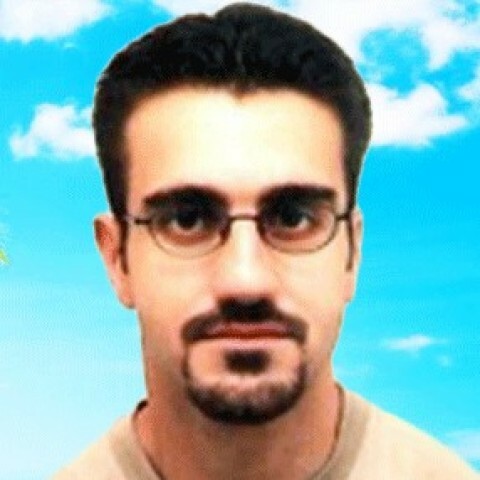 Hi Louie, thank you very much for your clear and valuable training. I have just a little doubt: what if I'm not an expert in that niche? For example, I could find a niche within natural cooking, but I'm not an expert in that field, how can I give good content to my visitors? I wanna be honest with them, I don't want publish low or unreliable content on my website. Hi Nzr1659, thanks for stopping by and leaving a comment. For your first niche website, it's recommend that you follow something you're passionated about or have a great interest in. This will make easier for you to research for information and write about it -- it won't feel so much like work. And it's something you really know about, you're not just guessing. BUT, if you wanna go with a niche you don't know, you whether research for information and write content yourself OR you hire someone to do it for you. You can use services like Odesk.com Elance.com or Fiverr.com to hire a writer, but do your due diligence right before hiring someone. Thank you Louie, I think that is the right thing to do, before exploring unkown niches. Certainly, working within my passions will make the task easier, and more pleasant. Thank you again. My pleasure. :) Glad you understand. One of the best trainings (apart from Kyle and Carson, of course) I've come across - short, uncomplicated, no waffle, to the point. Excellent. I'll be promoting this with enthusiasm to those who lack the depth of understanding. Thank you so much for stopping by and leaving such a great comment. I feel deeply honored, I must say. Hi Louie - your training was very beneficial. I am enjoying my journey so far (its been 3 days now) and my gut feeling is that I will benefit and prosper from this course and the wealth of experience on this forum. I have been through 3 lessons of the course and need your help. 1) Is my niche worth pursuing or should I narrow it down further or get off it altogether? If I narrow it down further, I suppose I could concentrate on "budget halal travel" or "halal honeymoon destinations" or something like that but I feel I would run out of content/ideas sooner. By the way, halal travel need not just be for muslims - it can be for anyone who wants to travel but wants to avoid the things mentioned above in the definition of halal. 2) I would like to back myself up with some keyword/search data but I am confused on how to go about it. How can I support the choice of this niche with some data/evidence of search trends/keywords etc? I am aware of keyword tools but clueless on how to go about finding the answers I am looking for. 3) Can I start with the existing travel content that I have by adding a halal spin to it wherever possible and editing/proof reading it properly?For instance, I can add halal restaurant reviews, tips etc. Or should I write new content and start from scratch? 4) I already have bought the domain halaltripsadvisor dotcom - do you think it is a good choice or should I be looking for something like muslimtravelguy dotcom or muslimwanderer dotcom? The domain I have bought is a bit wide as such - not narrowed down. Isn't this better for the future? 5) Should I piggyback on a site like prior2boarding dotcom and try to become part of their chosen bloggers or wing it out on my own? Will being part of their community give me faster and better traffic? 6) I suppose I could eventually put affiliate links to halal hotels, restaurants or perhaps travel products from amazon that could help the practising muslim traveller? 7) Later on, I plan to add some PLR articles as well as I do not want to stop publishing content. Meanwhile, I will also restart writing my own content as I have around 20 countries and many more cities that I can write about. 8) I am also an avid photographer and have what I consider some good photos from my trips using a DSLR. For countries that I do not have good photos of, I plan to use stock photos. I suppose having good photos can only help with the website traffic? Hope you are able to share your thoughts on the points above. Sorry about the long post but these are burning issues in my mind right now so appreciate any help. Many thanks! Certainly and interesting niche for those who are unaware of the practice. I think the enthusiasm you have for the project should make the decision for you. Thank you Sami. Anyone else have any thoughts? It seems you already have some great experience regarding blogging and websites. Let me answer to your questions. Please read it and comment if you like (I'd appreciate it, so I can have more comments there :)) ). 2) You're just on lesson 3. Further down the road, you'll learn everything about keyword research so you can back up your niche idea with some important data. The niche research process (keyword research included, of course) is the single most important step in building a niche site. 3) Even if you're the author of content posted on different websites, you SHOULD NOT copy and paste it on a different website. Google will be able to figure it out and will mark your content as duplicate, removing copied content from its search results. You can pick up your existent content and use it as basis to create something new and updated. Not just the same text. 4) The domain name choice is up to you, really. I've answered above that it should be a little broader than your niche (so you can expand later and the domain name still makes sense), but it also should say something about what you're talking about on your site. Or, you can go for the brand name approach. "Google" does not say it's a search engine site, but that brand name already means "search engine" in your mind. Educating people to relate a brand name to what your site is, though, takes a lot of time. 5) What do you mean? Occasionally write for a bigger site like that or just write for them? How would you promote affiliate products on a site you don't own? Build something you own, don't build someone else's site and, at the same time, try to guest blog on other sites so you get known in your niche (and your site benefits from that). 6) That's the goal of a niche website: to help your visitors answering their questions or solving their problems recommending affiliate products from Amazon or from other affiliate networks. 7) PLR or outsourcing content writing is a good idea. But it is something I've still to try. I'm a control freak, I like to do it all by myself. 8) Photos, videos, audio (podcast), live streaming, everything. Thing of your site as those great looking magazines about travel. Don't they have amazing photos, great design and juicy information? Follow their example and you'll create an awesome website everybody (muslim and non-muslim) would like to visit. ;) Best of luck, my friend. 1) Narrowing it down - so would budget halal travel make sense? I travel backpacker style in any case so it would be easier. Or would that still be broad as "budget" definition is different for people? 2) About keyword research, yes down the road for sure I hope to learn more. But I was just wondering if its important step to do BEFORE getting started itself? Or shall I just start without worrying? 3) OK - I will paraphrase the content. What happens if I delete the original posts that are online right now the past 4-5 years? 4) Domain name choice yes up to me - but I was asking from the perspective of the niche. We all know trip advisor is a famous site - so would halaltripsadvisor dotcom be an advantage or disadvantage (Strictly in relation to the famous site and for my narrowed down niche - not as personal name choice)? Thanks again for the useful help! 1) You have to read my training again so you can really grasp "niches", my friend. :)) And, because I don't know those particular niches I can't really tell you how broad or specific they are. 2) It's the MOST important step to do before you get started. But the training here tells you to start before doing it. It's up to you to decide. I'm not going to tell you "forget about that" or "follow it". 3) It won't work. Google already "knows" they've been around. Even if they get deleted, it would take months or years for Google to "forget" them. 4) You can't use brand names owned by others in your domain name, like "GoogleBoost". You'd be contacted by authorities / lawyers to drop the domain name. The link is still down my friend...no idea why? Thanks for all the replies again. Last question - the world Google in Googleboost is not an English word. However, when I say halaltripadvisor dotcom both trip and advisor are English words - I just added the halal word to it. Is this still going to be flagged? If not, it is beneficial or makes no difference to have tripadvisor as part of the domain name? In SEO, will this help or actually make issues for me? Don't go that way. "Trip" + "Advisor" is a brand name. Try that and months from now you'll have Trip Advisor lawyers on top of you. Want to risk it? Plus, for SEO concerns if someone searched for "hatal trip advisor", all results would should Trip Advisor links. It's a strong brand name. Thanks for the tips on the domain name - makes sense so I'll have to ditch this and look for another name. Thanks Arthur. :) Glad it helped you. Let me see if I can help! :) Thanks for your comment. Dear Louie, thanks to your lessons I really see things about niche more clearly now and from different perspective. Thank you! I enjoyed the example of niche. I think as a new marketer, having the different ways of describing the thing we are looking for is a key element to understanding. I think this made it clearer to me what I want to do with my site. Your right! Different ways of explaining make it easier to understand. Thank you Louie for this training, and very well executed. I too have learned what a niche is from the training I have received, but you have put it in a good but different light...Very refreshing. I look very much forward to your next training. Feel free to leave your comments or ask me anything about the training. I'll be more than happy to help you out!